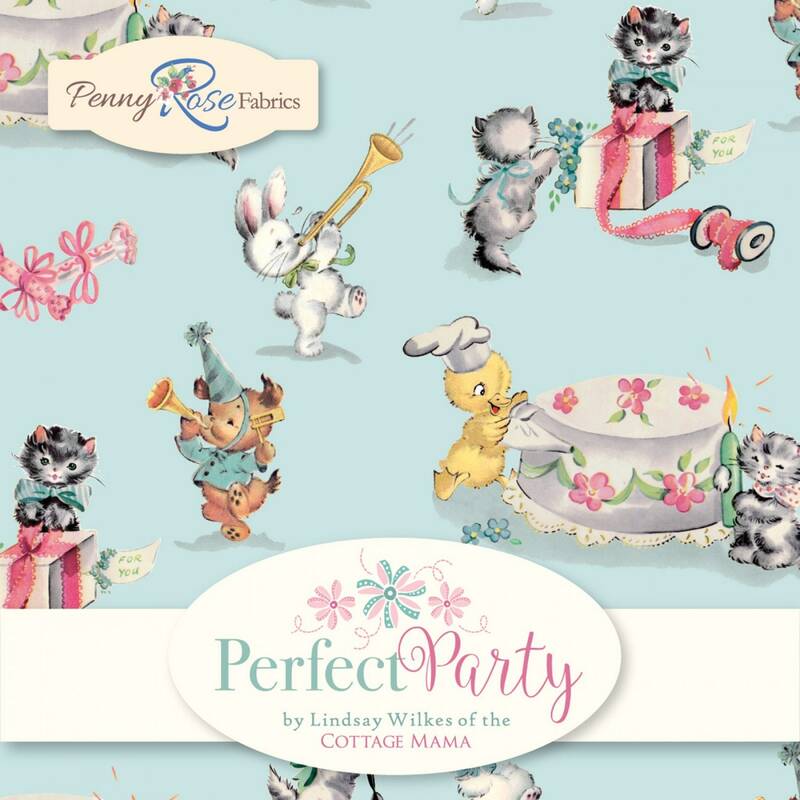 The Perfect Party fabric is a beautiful vintage fabric collection. 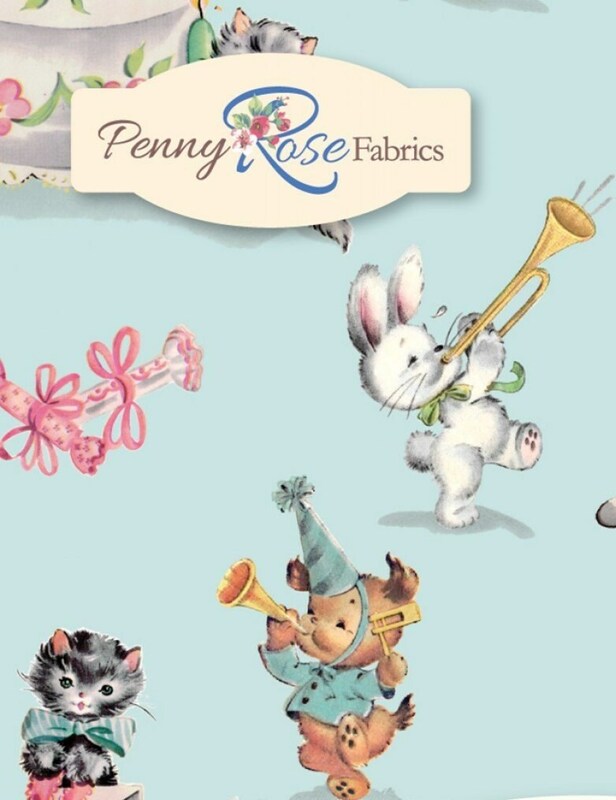 Riley Blake is presenting a beautiful quality cotton fabric perfect for quilting, garment sewing. 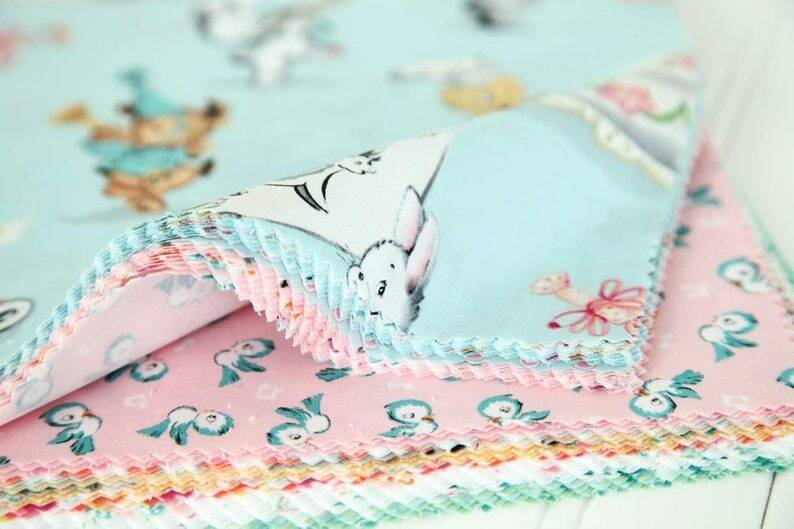 A beautiful fabric to create a special and one of a kind baby gift for mom and new baby. This packet includes 42, 10 inch squares with 2-3 squares of each print from the fabric collection. 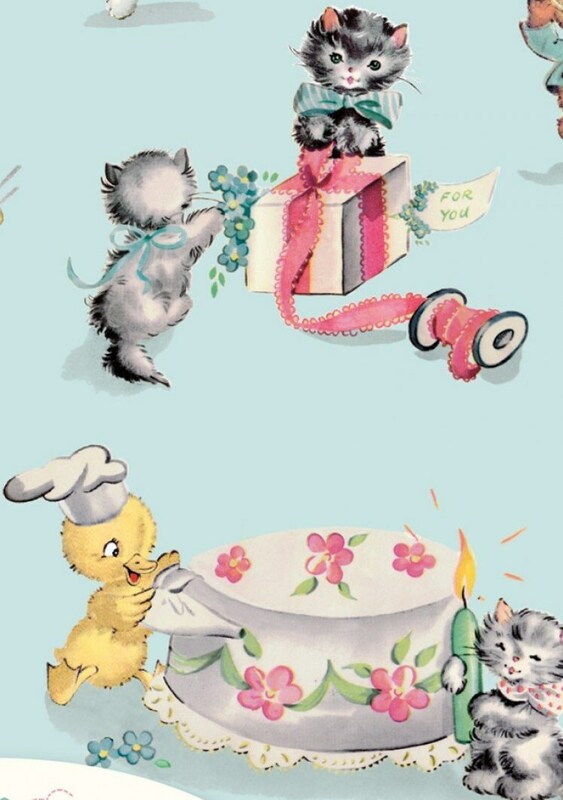 How can you not love the sweet kittens, duckies and rabbits. Such a sweet and soothing print!